This is a 34mm. 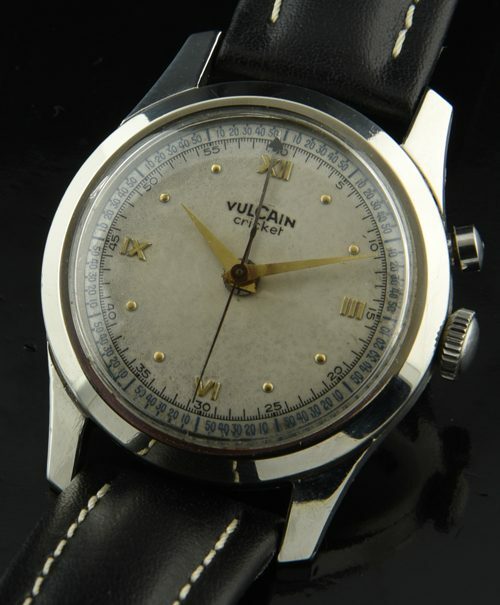 stainless steel Vulcain Cricket alarm watch having an original dial and handset. I really like the raised gold toned markers in Roman numerals. 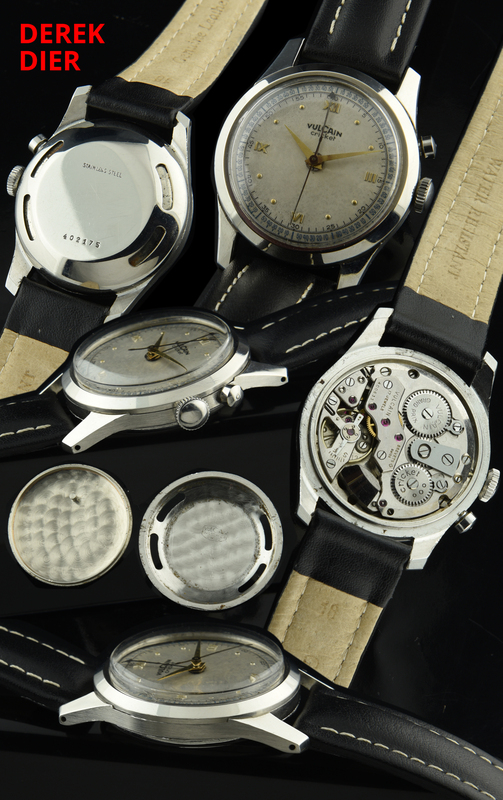 The manual winding movement was just cleaned and is accurate. When you wind clockwise, the movement is wound-counter clockwise, and the alarm is wound. This is a great example. These Vulcains are very collectable – have been given to US. Presidents From Hoover to Clinton.